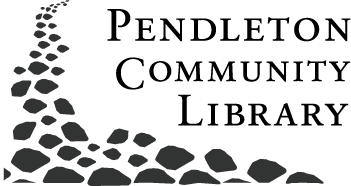 Pendleton Community Library cards are free to anyone ages 5 and up living in Fall Creek, Green, or Adams Townships. You are also eligible to obtain a library card if you pay property taxes in any of these townships. It is necessary to verify your current address in order to issue a card. If you are applying for a new library card, you must show one piece of photo identification, preferably a current Indiana driver’s license or state-issued identification card. If the address information on the driver’s license or identification card is correct, and within the library’s tax district, a library card will be issued. If the address on the photo ID is not correct, or if the ID has been issued by another state, you will have to show two alternate forms of secondary identification along with your photo ID. Check here for a current listing of acceptable documentation. Patrons who are not able to show a current photo ID at the time of registration will be required to show a current photo ID within six months of their original registration. If you are a teacher or student at any public or non-public preK-12 school in Fall Creek, Green, or Adams Townships, you may be issued a card. Teacher cards are issued after confirming current employment in the local school. Employment may be verified with a school ID, pay stub, or verification on school letterhead. Student card are issued after confirming current enrollment in the local school. Enrollment may be verified with a student ID, report card, or verification on school letterhead. If you live in the state of Indiana but outside of Madison County, you may use an Indiana Public Library Access Card (PLAC) to access services at Pendleton Community Library. The PLAC program allows an individual to borrow materials directly from any public library in Indiana. An individual who holds a valid public library card may obtain a PLAC. The annual fee for a PLAC is $65.00. Individuals may purchase a non-resident PCL card by paying the current non-resident fee of $40. Pendleton Community Library also has a reciprocal agreement with libraries throughout the state. Visit the front desk for additional information and to see if we have a reciprocal agreement with your home library.